How do you spell Rugalah!?? 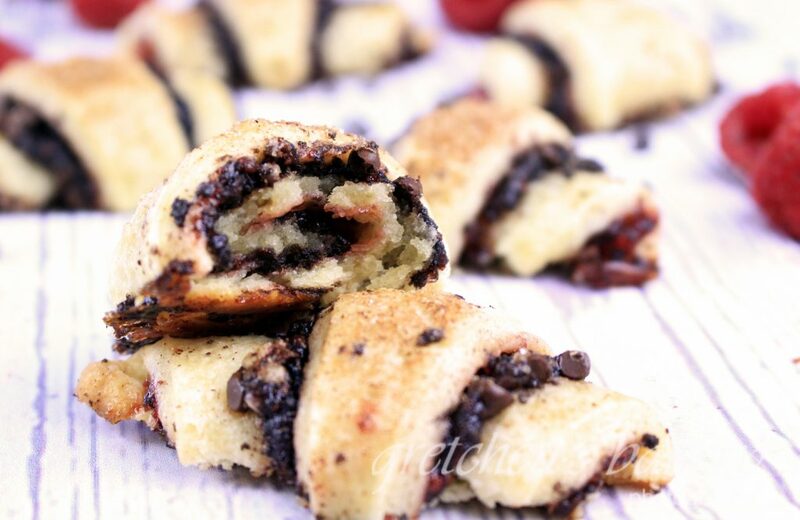 I have another rugalah recipe from last year and I couldn’t find it in the search because I spelled it Rugelach! But apparently that is the correct spelling but I will never get it right! 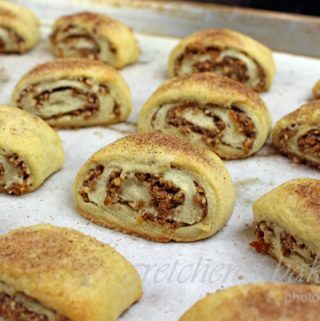 Well, whatever about that, this year I decided to make another version and these awesome cookies, with my new version (and spelling) for Pecan Pie Rugelach. These cookies are going to make your holiday cookie platter stand out from the rest and have everyone coming back for more! I love this cookie dough so much, it is a cream cheese dough that is so soft and pliable and rolls like pie dough, but with a cookie texture once it’s baked! 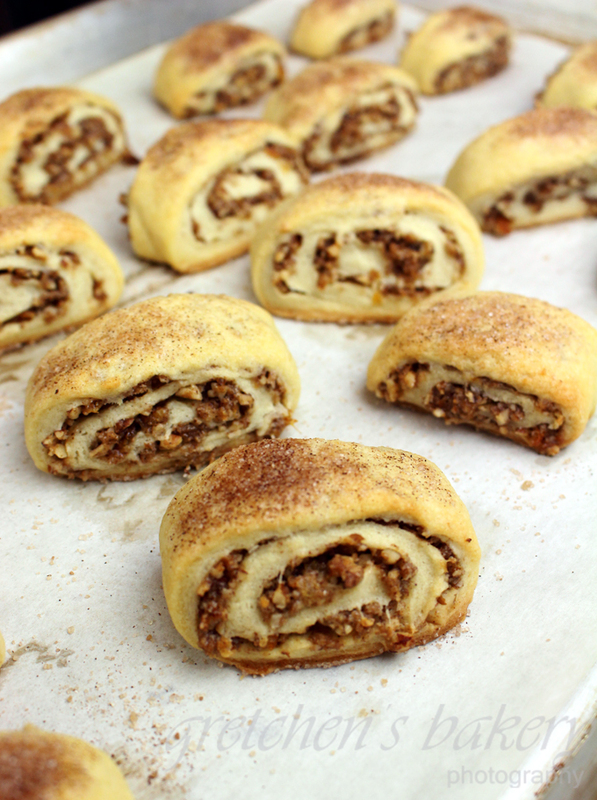 Rugelach can be filled with an endless variety of nuts and jams and this time, orange pecan pie filling for the win! I am actually using the candied oranges that I made for my Chocolate Orange Truffle Tart, but if you don’t want to make a specific recipe for those, you can always buy the candied orange rind OR forget the candied part and just use the zest of 2 large oranges. These cookies are part 4 of my 12 Days of Christmas Cookies recipe series this year! 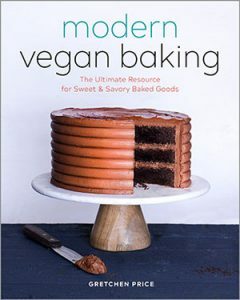 You may see that I am using The Plant Based Egg by Freely Vegan as the egg replacer in almost all of my desserts now. If you do not want to buy it or cannot get it, you can sub in another proprietary blend egg replacer of your choice( results may vary slightly since I have not tested it with ALL the egg replacers). If you are not able to do nuts you can vary this recipe by using any filling you prefer! 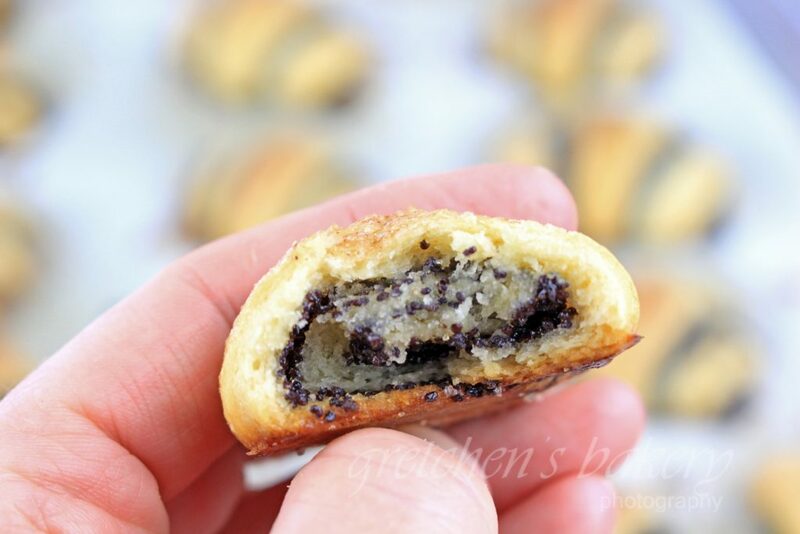 I made them with poppy seeds and also chocolate raspberry! These look amazing!! 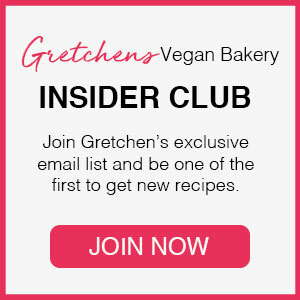 What could I use instead of Follow your heart vegan eggs? I don’t like the taste of them . The original recipe for this cookie dough called for egg yolks which I replaced with Vegan Egg by Follow Your Heart. I understand not everyone can get that product so I also tested it with The Plant based Egg by Freely Vegan with excellent results. You may see that I am using The Plant Based Egg by Freely Vegan as the egg replacer in almost all of my desserts now. If you do not want to buy it or cannot get it, you can sub in another proprietary blend egg replacer of your choice (results may vary slightly since I have not tested it with ALL the egg replacers).